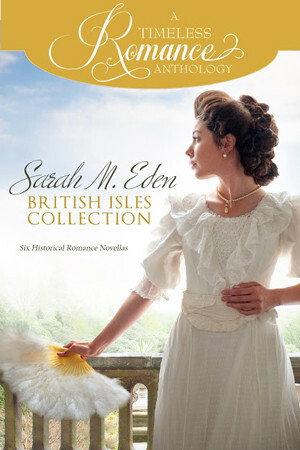 Six historical romance novellas set in the British Isles. 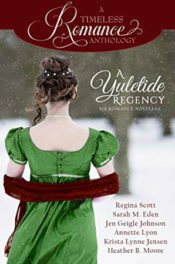 Including two brand new novellas A FRIEND INDEED and A HAPPY BEGINNING, as well as four hand-picked readers’ and reviewers’ favorites of Sarah’s popular Timeless Romance Anthology novellas. A FRIEND INDEED (New). George and Caroline have been friends since childhood. 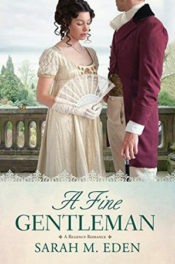 With Caroline’s family in dire straits, George steps in an offers marriage. But now they’re engaged and Caroline worries George is only marrying her out of friendship. George, however, has his own reasons for marriage. Can he convince her that he’s sincere? A HAPPY BEGINNING (New). Sophia is feels alone and trapped in her position as governess to horrid children. She is desperate for a friend. At first her offers of friendship are refused by the quiet Dermot, but when Sophia’s situation becomes unbearable, will Dermot come to her rescue? THE ROAD TO CAVAN TOWN (Winter Collection). Alice Wheatley walks each weekend into town, accompanied by Isaac Dancy. 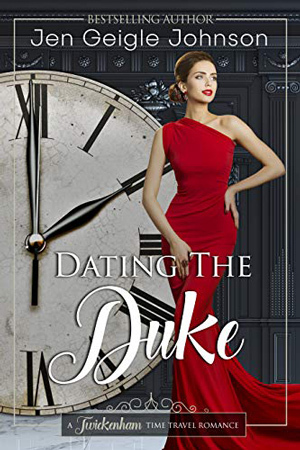 And while Alice finds herself falling in love with the gentleman, unfortunately he has his eyes set on the belle of the town, Miss Sophia Kilchrest. Alice must find a way to turn Isaac’s eyes toward her. 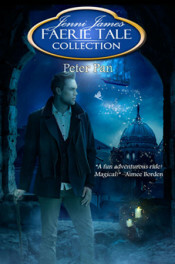 A CHRISTMAS PROMISE (Silver Bells Collection). Sean Kirkpatrick is trying to get to his new place of employment, Kilkenny Castle, in order to start as the new stablehand. His only requirement is to drive a team of high-spirited nags from Dublin to Kilkenny in a certain amount of time. Unfortunately he winds up in a muddy field, stuck, lost, and running out of time. He’s about to lose the job before he can prove himself capable of finishing his first assignment. 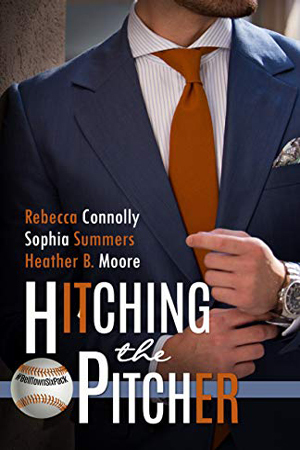 When Maeve Butler arrives on the scene, Sean isn’t sure if she’s intent on rescuing him or bent on torturing him with her fiery wit and lovely dark eyes. 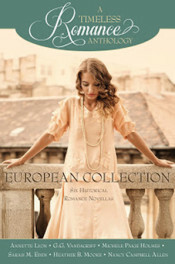 DREAM OF A GLORIOUS SEASON (All Regency Collection). 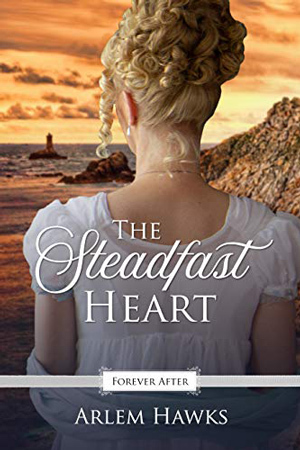 Elizabeth Gillerford envies her sister only one thing—that she’s been intended for Julian Broadwood since they were children. The trouble is that Elizabeth is hopelessly in love with Julian too. 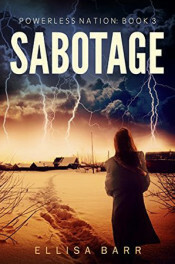 When Julian discovers that Elizabeth has been denied a Season because her older sister is yet unwed, he undertakes his own stealthy measures to introduce her to society, only to find himself falling in love with her himself. A LESSON IN LOVE (European Collection). 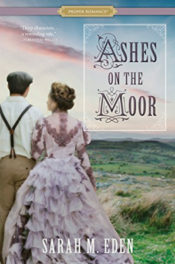 Lucy Stanthorpe arrives for the London Season, planning to attend every ball and musicale with her new husband, Reed, only to discover he has no intention of taking part in the social whirl. 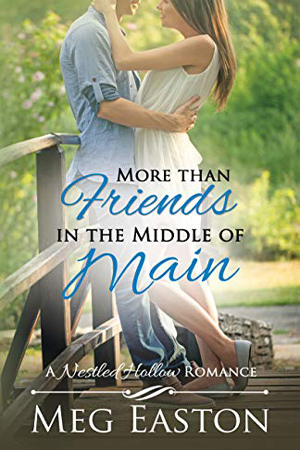 Spurred on by their family and friends, Lucy and Reed each formulate increasingly outlandish plans to teach the other a lesson in appreciation. 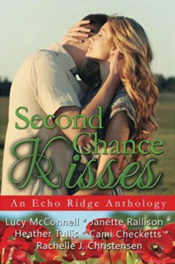 Their battle of wills threatens to pull the young couple apart unless they can both soften their stubborn hearts. Sarah Eden is one of my favorite authors! 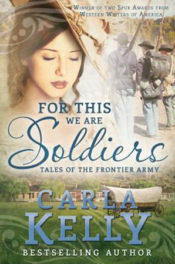 I especially love her novellas from the Timeless Romance Collections, so I was thrilled to read this book. 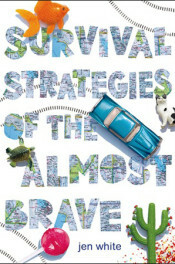 The two new stories are absolutely lovely, with vibrant characters and settings that are so easy to visualize as I read. 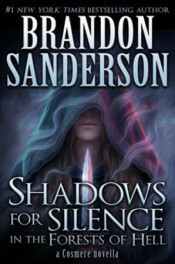 I especially enjoyed the male’s perspective in each story as they interact with the female lead. The rest of the stories are ones I had read from previous collections but since I loved them all it was a pleasure to read them again. 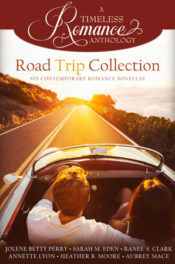 This is a wonderful collection that I plan to read several times over in the future on days when I just need a relaxing time reading some sweet romance. Highly recommend! Sarah Eden is one of my absolute favorite authors — I love all of her stories! 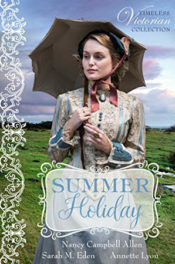 She writes such wonderful characters and her stories are full of charm and wit and sweet moments. I love the historical settings in England and Ireland and all the rich details. 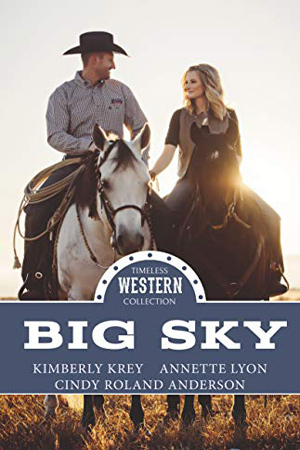 This is a collection of six of her stories — four were previously published in other Timeless Romance Anthologies and two were brand new (yay!). I had read the four already published, but I decided to read them again because I can just never get enough of Sarah Eden’s stories. The two new stories, “A Friend Indeed” and “A Happy Beginning” were just perfect, as always. This is the perfect collection for fans of Sarah Eden! 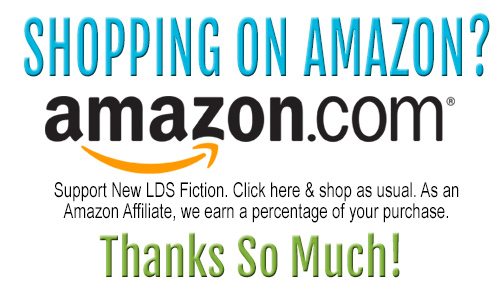 There are definite benefits to reading a novella as opposed to a full length novel. First, since they are short and can be easily read in about an hour it is so much easier to stop reading at a decent hour having reached the end of the story instead of doing my usual, “Just one more chapter…” well into the night. 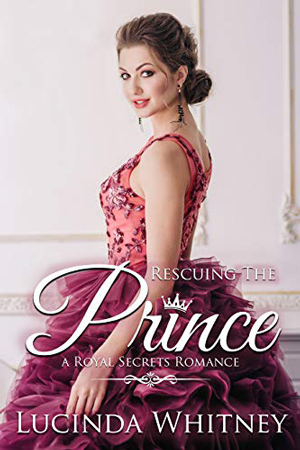 And second, the novella eliminates the frustration that often comes with a regency romance novel in that one doesn’t have to endure long the stupidity of those in love but too blind to see that love returned if only one of them would speak up. Things get settled quickly in the novella instead of the long drawn out pain of watching their foolishness. That being said, I also found that when I reached the end of the story I felt a bit sad that the story was over already. I wanted to read more. That is a good thing I think. 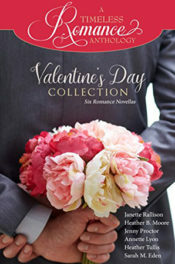 There are six novellas in the collection and each one of them is different from the others. I enjoyed them all. I did have to wonder about A Lesson in Love though. It seems to me that with all the gossiping and everyone noting everyone else’s business in other regency romances that it is a bit odd that the ton didn’t seem to notice anything odd in the married couple’s behavior. Not showing up for events, then showing up separately and not speaking to each other while there? No one noticed nor suspected a problem? Not a big deal but I kept waiting for the gossip to hit the fan but the author didn’t take the story in that direction at all. 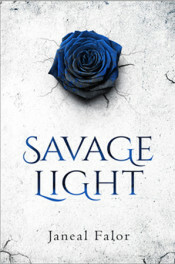 As are all of the Sarah M. Eden’s books I’ve read, this was sparkly clean.